Dunsworth was born in Nova Scotia, Canada, in 1946, and he originally went to school for acting before dropping out. After that, he became a prominent figure in Halifax’s local theater community, opening a successful production house called the Pier One Theatre in the ‘70s. He first played the character that would become Trailer Park Boys’ Jim Lahey in Mike Clattenburg’s 1998 short film One Last Shot. Clattenburg then went on to create Trailer Park Boys and Dunsworth on board to play Lahey, the frequently drunk supervisor of a trailer park that’s home to a few residents with a propensity for wacky/illegal schemes. Dunsworth appeared in all seven seasons of the show’s original run, and returned with the rest of the cast when Netflix picked up the show. 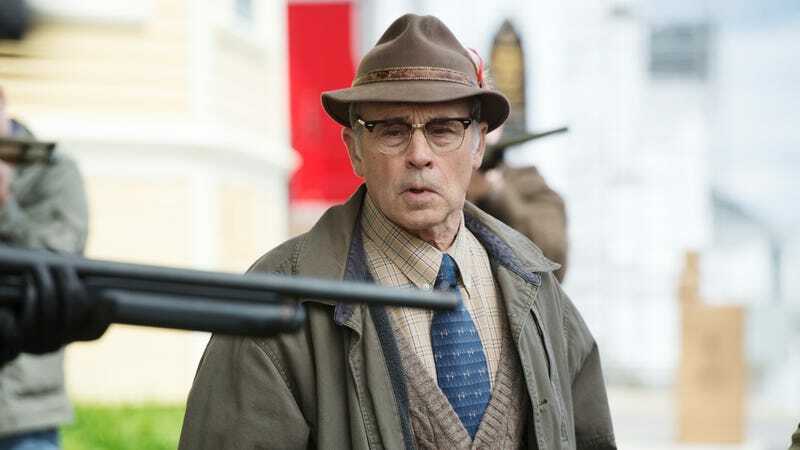 He also played Lahey in the Trailer Park Boys movies and specials. Dunsworth also had a recurring role as Dave Teagues on Syfy’s Haven, which was filmed in Nova Scotia like Trailer Park Boys. That series was loosely based on the Stephen King story The Colorado Kid, and it ran for five seasons.